COMPASS uses the SLIM language, based on AADL, for its input models. 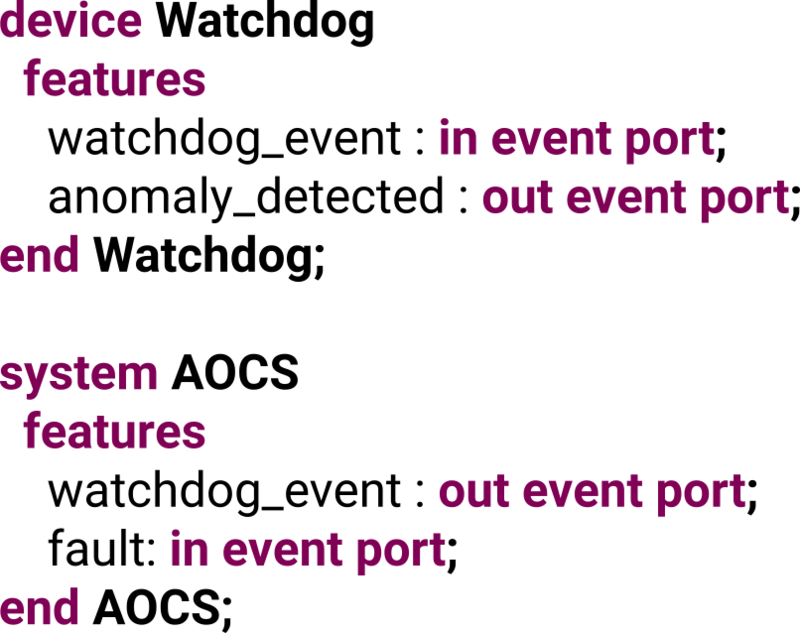 Using it, it is possible to describe both the hardware and software components of the system, and their connections. 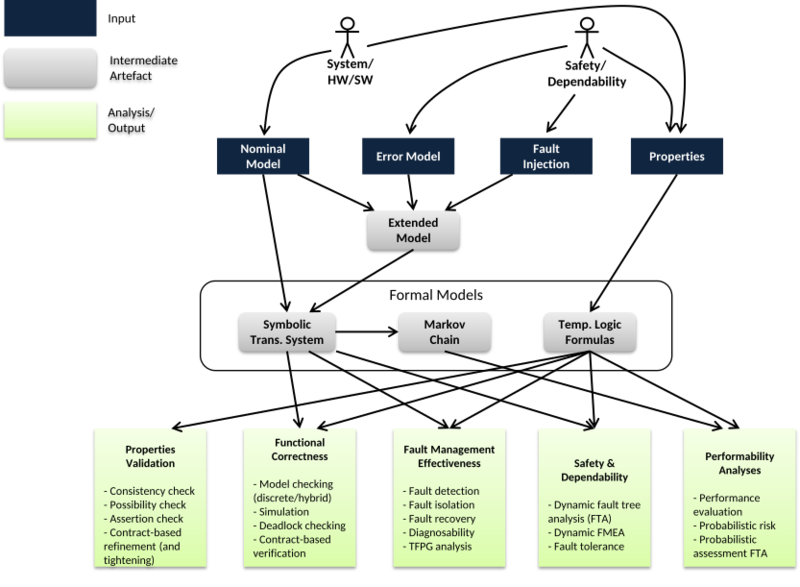 Separate error models can be defined to describe faults, which can automatically be injected into the model. Properties can be defined for the model to describe desired or undesired behavior, and are specified by means of patterns, design attributes or directly as formulas. Correctness analysis makes it possible to analyze the model for defects, and verify its correctness. 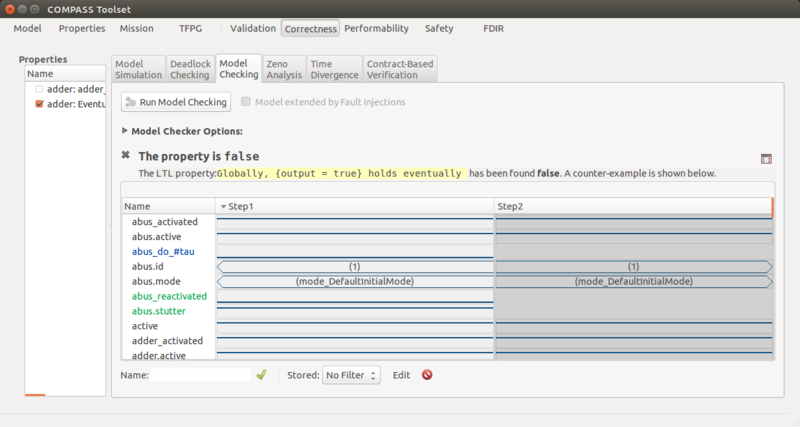 Simulation gives insight in the model’s behavior, property checking gives formal assurance that the system behaves correctly. 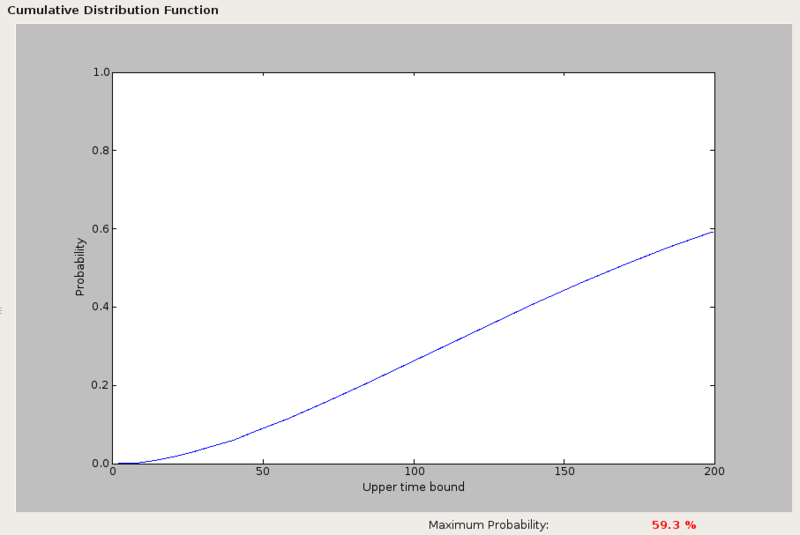 Performance and Reliability (Performability) analysis makes it possible to calculate the probability of for instance system failures or Single Event Upsets (SEU), and plot the results over time. COMPASS can automatically generate (Dynamic) Fault Trees, perform Failure Mode and Effect Analysis (FMEA) and Fault Tolerance Evaluation. Fault Trees can also be evaluated to determine failure probabilities, using fixed probabilities or failure rates, together with criticality metrics. FDIR (Fault Detection, Isolation and Recovery) analysis makes it possible to analyze how the system reacts to faults, i.e. whether they can be detected, correctly identified and mitigated. Diagnosability analysis makes it possible to determine the observational requirements that make the system diagnosable. For details, please read through the about, publications and tools & download, or see some more screenshots of the COMPASS GUI.